Make way! 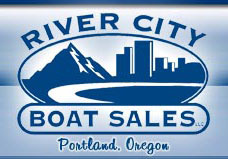 Here comes the 59th annual Portland Boat Show this January 9th – 13th. This show is BIG! With more than 40 of the area’s top boat dealers and over 100 brands, the Portland Boat Show is the largest boat show in Oregon with BIG selection, BIG show-only deals and the BIGGEST and brightest brands in the business…all in one convenient location — the Portland Expo Center!